Foot rashes have a wide variety of causes, including reactions to drugs, eczema, shingles, and chemical dermatitis. Contact with poisonous plants such as poison ivy or poison oak are common sources of foot rashes during warm months when many people walk barefoot or in sandals. Foot rashes can appear on the soles and tops of the feet and even in between the toes. Some foot rashes are extremely itchy. The most common causes of foot rashes are dry skin, exposure to heat, and athlete's foot. Only by having the rash examined, will you be able to obtain a precise diagnosis. Your podiatrist can determine the cause of your foot rash and provide you with appropriate treatment. Whatever is causing the rash that plagues every step you take, don't just accept it as the norm. Relief is close at hand through podiatric attention. 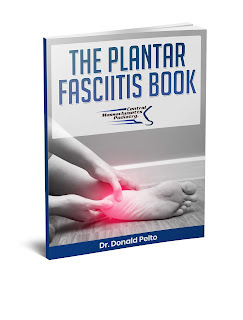 There's no need to suffer with skin conditions and other pain-causing foot disorders. To alleviate pain, accomplish optimum function, prevent recurrence, and help you walk once again in comfort, we invite your call. Conveniently located at 299 Lincoln Street, Suite 202, Worcester, you can reach us at 508-757-4003 to make an appointment. NOTE: If you develop a foot rash, think of what is new in your foot's life. Eliminate it for awhile to see if the rash disappears.